Did you know that ungulates (a group including boar, roe deer, fallow deer, deer, mouflon) cause over 700 road accidents every year in Tuscany, many fatal? And that the same animals eat the fruit, leaves and plants of our crops and devastate – often irreparably – the agricultural lands in our region? And that in Italy, Tuscany is the region with the highest density of ungulates, and in Europe is second only to the record-holding Austria? According to 2016 Regional estimates, in Tuscany there are more than 450,000 ungulates, including 160,000 boar, 178,000 roe deer, 110,000 fallow deer, 4,500 deer, 2,500 mouflon. You probably didn’t know, at least not many of you. Not because you wouldn’t be interested in knowing, but because this problem (calling it a problem is nearly a euphemism!) is not well understood even by those responsible for the news and information in our territory, who prefer to write about other facts. And because it’s difficult to understand if you haven’t lived for a long time in the area and especially if your work isn’t directly affected by this problem. We understand all the animal lovers who can’t accept that ungulates destroy people’s jobs and work opportunities. And yet these animals, the boar, the roe deer and fallow deer and all their cousins and relatives are not endemic to this area, they never were or if they were they remained unseen in the woods. Now there are so many, really so many, that they have become courageous and packs of them wander around undisturbed in our fields, vineyards and olive groves – or at least all attempts to disturb them meet with failure. And they’re not happy with just grazing: they cause devastation. They dig holes, making furrows so deep that you could break your neck falling in, and they eat while digging. The roe deer are the greediest for bunches of Sangiovese grapes! And with the drought this year, they came to eat grapes to stay hydrated, since they couldn’t find enough water in a more traditional way. This post may seem nearly ironic, but it’s our reality. Among Barone Ricasoli’s many attempts to defend its vineyards, it was at the head of a very interesting project whose goal was to ward off the animals through the use of ultrasound. This is the ULTRAREP project and after a first year of experimentation, the working group drew up a strategic plan to allow the introduction of this ultrasound technology across the lands of many companies. 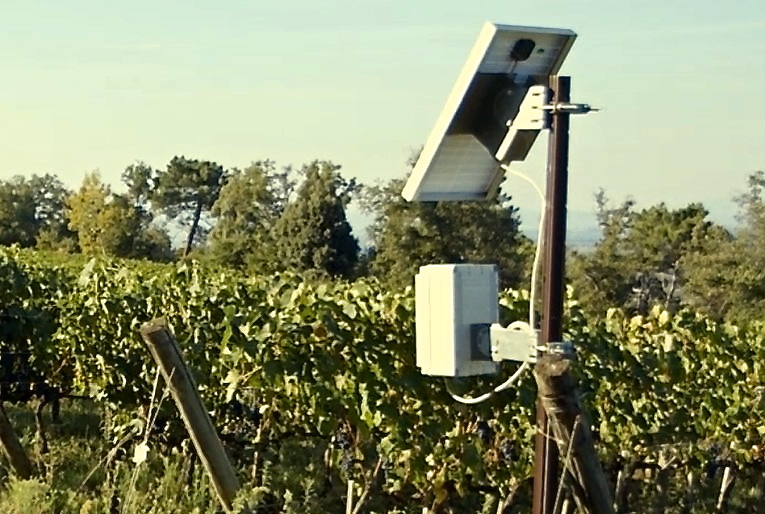 The devices are placed across the territory in the fields of many different agribusinesses, and the sounds emitted induce the animals to flee along “wildlife corridors”. 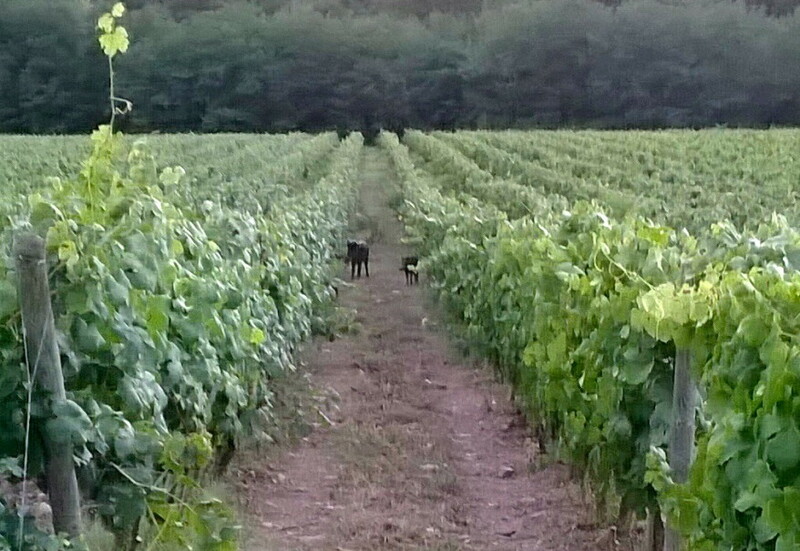 These latter are obligatory pathways heading towards wooded areas or natural parks, thus preventing the animals from moving into the neighboring vineyard. The greatest effect is within 40 meters of the ultrasound emission. At that distance, “the fallow deer escape by running away very fast for scores of meters, without looking back at the device. The boar move away and then stop, turning towards the device, then move away again”. Beyond 40 meters, the animals behave differently: they stop eating and turn towards the device, then they move away. But the greater the distance, the more likely it is that the animals will begin eating again. 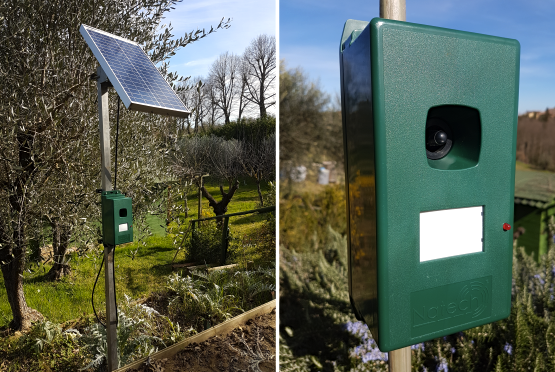 According to Marco Mentessi, director of Confagricoltura Toscana [Tuscan Agribusiness Association], the ULTRAREP system appears to be a valid ally in the fight against ungulates, even if not a definitive solution. It needs to be used alongside traditional systems, including hunting, and supported by well-enforced laws that truly help companies. On balance, the first year of experimentation around Brolio Castle has been positive, but there’s still a great deal to do.